Made of 100% spun polyester, this shirt delivers the look and feel of organic cotton and features a moisture wicking factor, double stitched seams and four thread lock over for extra strength stitching at the hem. 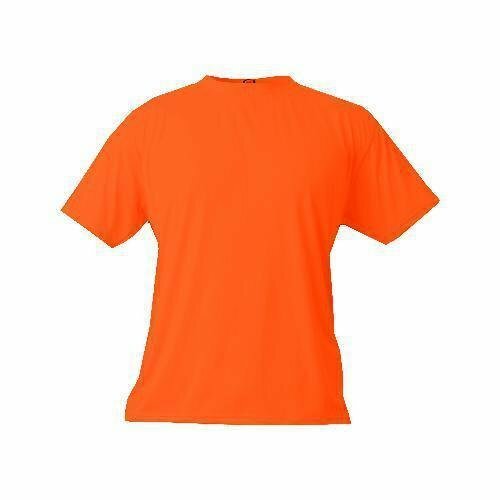 This comfy and durable shirt can be imprinted for full color personalization. 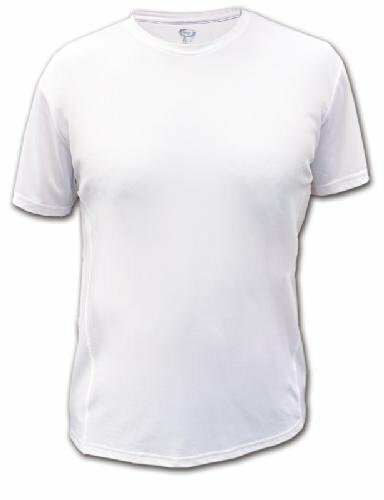 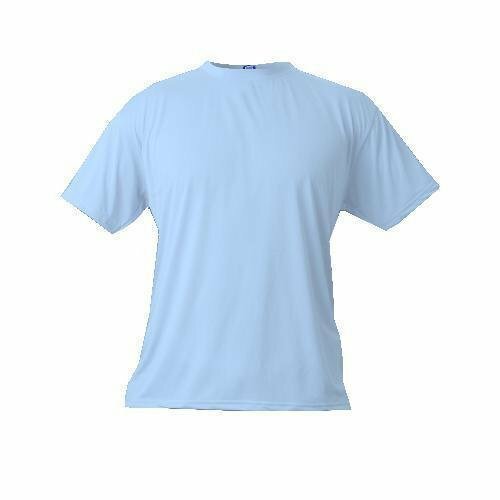 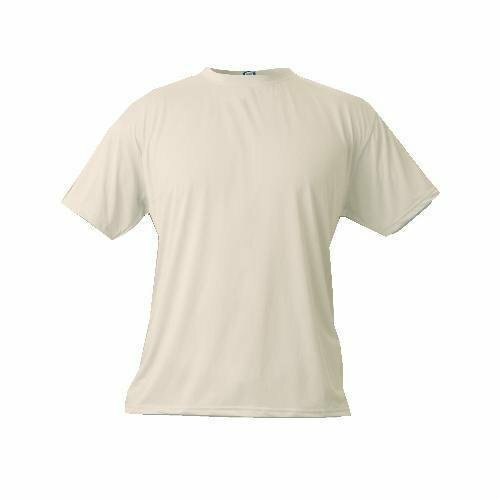 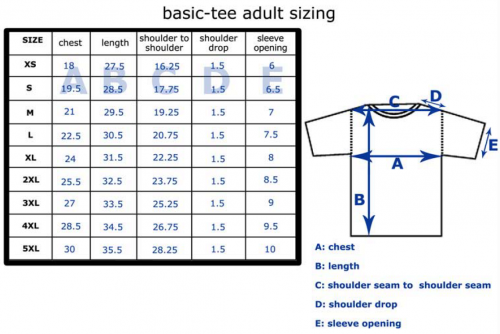 chest, 14.5", length, 20", shoulder to shoulder 13.5", shoulder drop 1.25", sleeve opening 4.5"
This classic short sleeve moisture wicking performance crew neck t-shirt is made of 100% spun polyester that looks and feels like cotton. 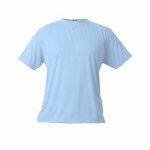 With a ribbed taped neck collar and reinforced hems, it can be customized in full color to promote your school, team, organization or special event, or for a great personalized gift.